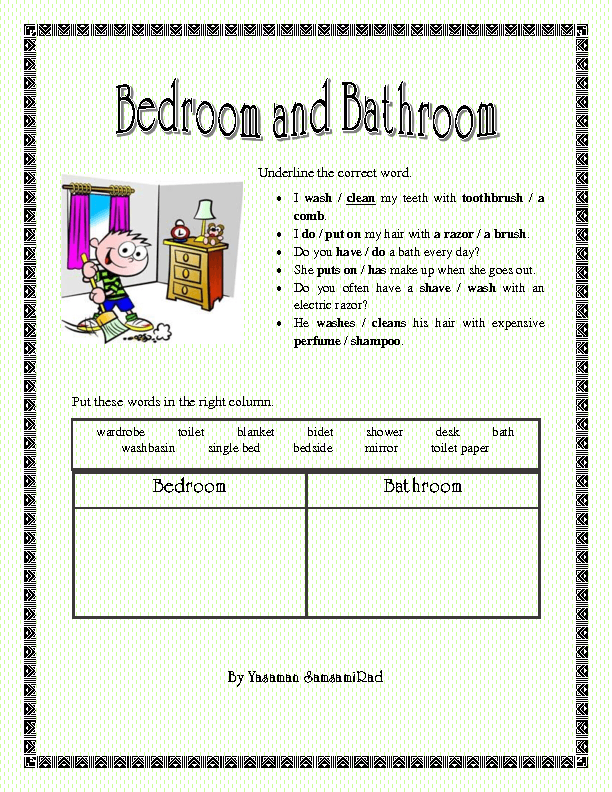 This worksheet deals with some vocabulary items related to bedroom and bathroom. 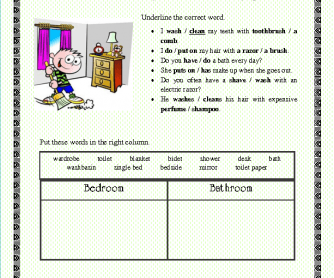 It is designed for both elementary and pre-intermediate levels. You may find it useful at the study part. Hope it works.